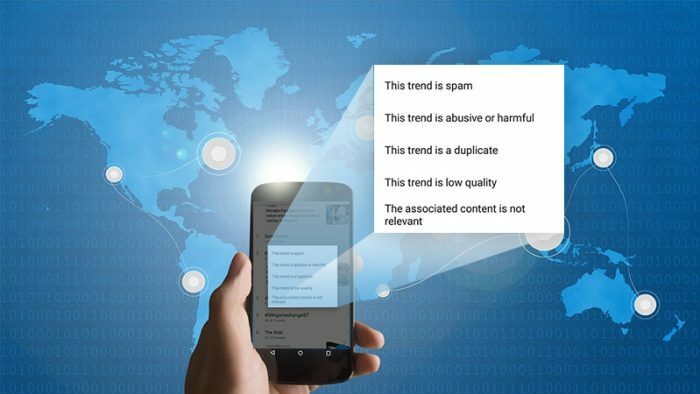 The article curates a set of implications on brands, political parties and the unorganized bots industry by industry experts as Twitter Report Trends feature gets set to rolled out. This trend is spam – pop up appears under a given trend on Twitter, as a part of their recent update. Users are now allowed to report Trends, they feel are spammy, false, or for the wrong purposes. Twitter, for quite sometime now, has been taking several measures in an attempt to be more consumer friendly, while dealing with fake news and misuse of platform for propaganda purposes. From giving access to control Direct Messages and notifications, better organization of Tweets and mitigating troll-like behavior, the platform is making every possible attempt to retain its users amidst various security conflicts and fake inventory. In the first quarter of 2018, Twitter registered 336 million monthly active users. In July 2018, the company shares fell more than 20 per cent, after it reported user decline and weak guidance. As per a CNBC report, the platform blamed not moving to paid SMS carrier relationships in certain markets where users have better access to Twitter or Twitter Lite, making changes to improve the ‘health’ of the platform and some impact from GDPR, a set of regulations in the European Union intended to protect consumer data. In total, Twitter estimates about 3 million accounts were affected by these three reasons. In a major move, during May and June, the 6th most popular social media site took onto 70 million accounts under a Twitter purge in a bid to invade fake and bot accounts which automatically create tweets without human oversight. They play a very important role in making an agenda trend on the platform. According to a study posted in April 2018, an estimated two-thirds of tweeted links to popular websites are posted by automated accounts. To curb this issue, presumably Twitter has made reporting trends possible for the twiterrati and we get to know the implications of the same. Twitter Trends act as a lifeline of various advertisers and political parties for their campaigns to get viral on the platform who also everage the big twitter data and networks for wide influence. “With this the credibility of Twitter will revive in India. This is been done justifiably,” believes Manish Bhatanagar, COO, VuRoll. “Even if somebody is doing a practical activity, it is also considered as bot and through them in 20k and 40k they can trend for hours. The impact will be on the agencies who are into the business of doing this. Brands never want to do unethical things because they are a brand. Anything that is unethical, they shy away from it. Brands pay huge amount of money to YouTube to get the MastHead spot, there they know it is credible. Till date what was happening on Twitter we never knew. I believe that they have to shell out more money since the credibility will be high, they will opt to do it,” Bhatanagar adds. On a broader note, these will help people trust the platform a bit more. Even today, when we search for things online, we tend to automatically trust sources that are from established media. Similarly, reporting fake and spurious trends (that are generated by bots and paid crowds) and more importantly, acting on them, will help Twitter gain trust gradually. Once the impact is showcased (that is, the result of reporting), Srinivasan feels sure that political parties and brands will stop indulging in it because it is both a loss of face and monetary loss for them to continue. The industry adapts to changes as it happens. The news is great for brands who believe true content deserves attention. 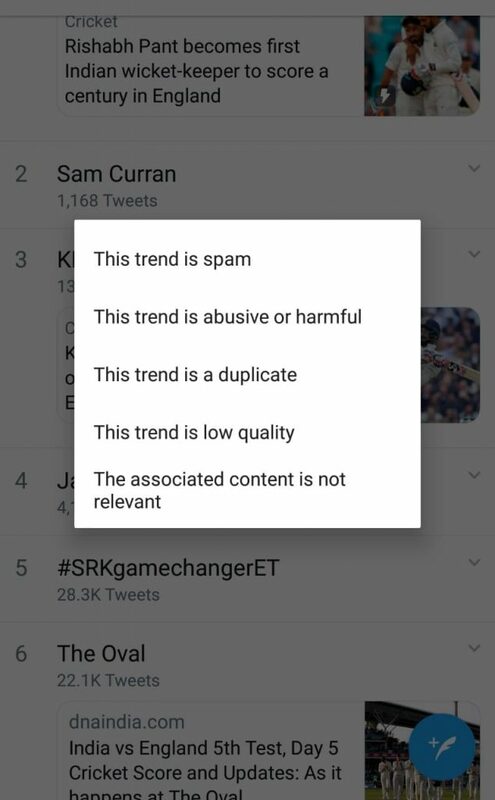 By weeding out these unnecessary/spam trends, this is definitely a welcome change from Twitter for both users and content marketers. “Political marketing encompasses managing voter mass reactions and planning counter strategies accordingly, and considering Twitter is the live discussion base of such conversations, we can be sure that the campaigners will adapt into more thoughtful strategies,” observed Praanesh Bhuvaneswar, CEO, Qoruz. Social Media can only advance the cause of democracy when it operates without control and restrictions. Hence, sponsored trends should belong in the category of advertisement/paid trends so that the ingenuity of public mood remains intact. Is the unorganised Fake Followers, Bots industry doomed? Sanjay Tripathy, Co-founder & CEO, Agilio Labs is all praise for this move, but also notes that this could have negative repercussions as well. It gives anyone with even a slight issue with the Trend to contribute the power to report it. He thinks it will affect the genuine trends as well and who will check the guys who are reporting it? Hashtags carry much value. “We spend so much money in the listening and ORM tools to know what’s been talked around. 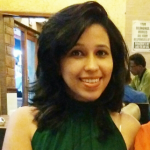 And if this is been done through bots it hampers the brand image,” shared Bhatnagar. Anything can be gamed once the code can be figured out. Bhuvaneswar stated that Brand marketers are well aware of this and employing stronger data science practices to curb such malpractices impacting the effectiveness. It is a cycle really, paving way for better strategies and practices. On the other hand, Srinivasan doesn’t foresee any significant impact on the unorganized industry. Twitter is a much smaller player in the overall ecosystem of fake news. The bigger culprit is perhaps WhatsApp, and Facebook, which have much larger user base. The paid crowds would naturally move to other platforms like WhatsApp and Facebook and continue to inflict damage there. As we move forward into the realm of technology, fake followers and bots have no space in public discourse on social media. We have seen how these aspects have compromised the spirit of electioneering and public opinion, which is a great disservice to the idea of democracy! Hence social media forums need to do away with such artificial aspects of control for a healthy and vibrant spirit of democracy to foster, which stands to testify genuine public opinion! Arora signs off by emphasizing on the fact that that doing away with Fake Twitter Followers and Bots is a great step in the right direction and will contribute towards strengthening public opinion, worldwide, apart from lending further credibility to social media platforms as well.